Spice Road Table is Epcot’s newest restaurant, located in the Morocco Pavilion on the shores of the World Showcase Lagoon. The restaurant has both indoor and outdoor seating and the menu features tapas-style dishes, or small plates. The menu also includes a wine list that features bottles from throughout the Mediterranean region. 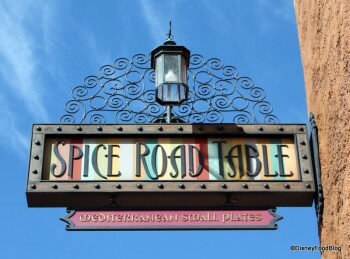 Disney Food Blog Review: Unique Eats at Epcot’s Spice Road Table in Walt Disney World! This is a great spot to view IllumiNations!